They reduce consumption and exhaust gas. They trigger the combustion process, which includes two steps: first, when slightly turning the key, the spark plug warms up in a few seconds up to more than 1,000° in the final part. Then furtherly turning the key, ignition starts. 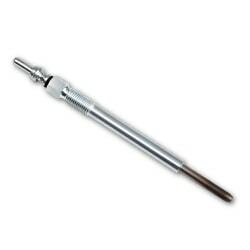 The pulverized fuel is injected into the chamber and strikes the glowing part of the plug thereby starting combustion. Available for cars with single or double filament plugs (control and heating) with conventional or ultra-fast preheating.